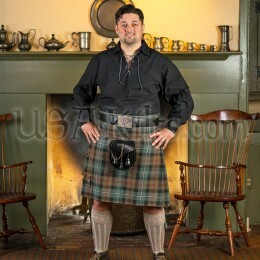 Our Irish Day Sporran is a USA Kilts exclusive design. The top flap is embossed with our knotwork claddagh design and 6 studs. This sporran flap has cutaways in the leather to show off the hand dyed dark green leather underneath. But the details don't stop there! The bells on this sporran were cast from high quality pewter with 3 raised harp designs on each one. It also features our internal pocket for business cards and loose change and comes with a sporran chain (adjustable length) to fit the waist measurement provided. 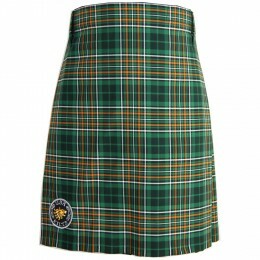 This studded Irish day sporran is made by Celtic artisans and is a great value for the money. 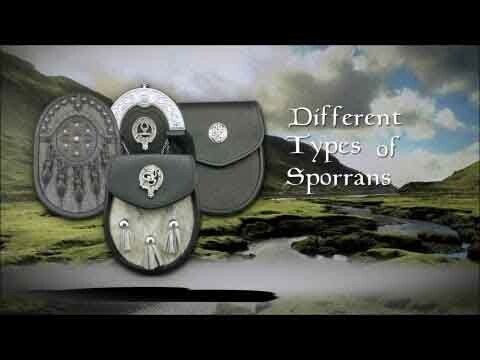 Love this sporran and the design - hopefully it will help differentiate to people that I'm mostly Irish and not Scottish! The best part about this sporran is that they get the attachment point at the back correct - up high so that it hangs properly flat. 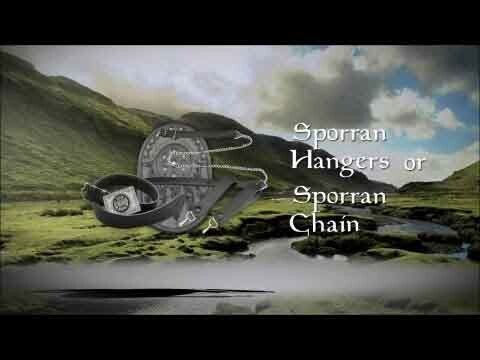 Almost every other sporran I've purchased have the chain attachments almost at the middle, which makes the sporran want to cant inward at the bottom, if not hang balanced completely horizontally. These mid-attached sporrans cause a very unflattering look if you have any sort pf belly. this one though, hangs nice and vertical and helps distract from that beer gut!